Rio Olympian Julie Brougham and her German import Vom Feinsten today picked up her final necessary FEI World Equestrian Games qualifying mark making her eligible for selection. 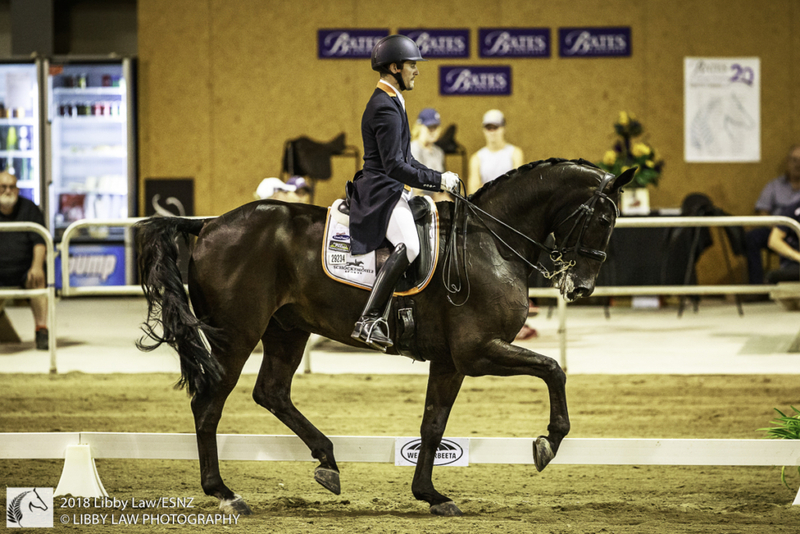 Brougham and Steiny scored 69.913% to take out the CDI3* FEI Grand Prix at the Bates NZ Dressage Championships with fellow WEG hopeful John Thompson (Hamilton) and JHT Antonello second on 68.37%, Abbie Deken (Taranaki) and KH Ambrose third on 67.783% and Wendi Williamson (Kumeu) aboard Don Amour MH fourth on 67.304%. 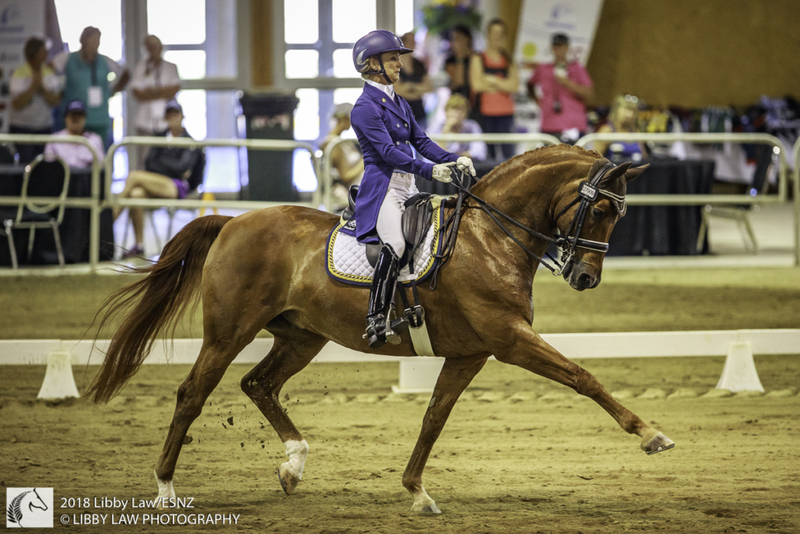 Brougham was rapt, and particularly because four of the five judges – 5* Eddy De Wolff (NED), Ricky MacMillan (AUS), Elke Ebert (GER) and Sue Hobson (NZL) – each gave her higher than 70%. “That is very encouraging for me,” said Brougham. Thompson aboard JHT Antonello and Williamson on Dejavu MH have already notched the necessary marks, but Williamson is now chasing qualification aboard her younger horse Don Amour MH. All the riders today had made little mistakes here and there, and Hamerton said Thompson would be ruing his which was probably the difference between first and second. 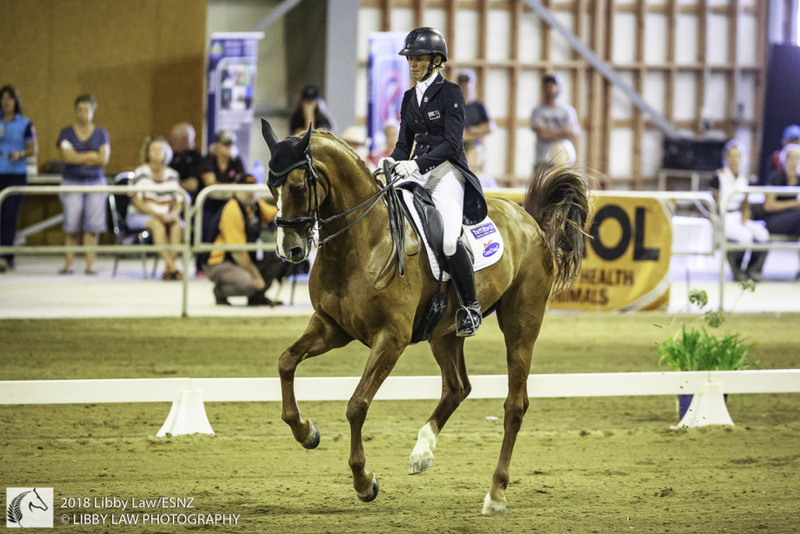 Bates NZ Dressage Championships 2018, Superior Rubber Services North Island Super 5 Final L9 CDI3* FEI Grand Prix: Julie Brougham (Palmerston North) Vom Feinsten 69.913% 1, John Thompson (Hamilton) JHT Antonello 68.37% 2, Abbie Deken (Taranaki) KH Ambrose 67.783% 3, Wendi Williamson (Kumeu) Don Amour MH 67.304% 4.